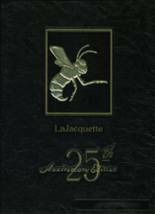 Listings of high school yearbooks for New Iberia Senior High can be found below. You will find former students who are seeking yearbooks, those looking to sell a yearbook and general yearbook requests among the NISHS yearbook listings. This yearbook section was created to help alumni post yearbook classifieds. If you are an alumn of New Iberia Senior you should register now in the alumni directory. We also encourage you to interact with the rest of the alumni on this site. You can find old friends, share photos and stay updated on the latest school news. I just never got mine and am interested in getting one. PLease get back to me if a 1999 yearbook is available. I want to buy a yearbook please. I would like to view the yearbook. You can contact me at *****@att.net. Thanks. looking to buy this yearbook. I would like a 1997 yearbook. Would like a 1994 yearbook. Lost my original, and really would like to buy a replacement. Looking for a 1992 yearbook. This is for a friend of mine. Looking for a copy of 1979, 1980 & 1981 yearbooks. I would love to have yearbooks from 1980 and 1981. Contact me at *****@yahoo.com with price if you are interested in getting rid of. 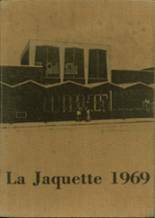 Anyone have or know where I can get a 1973 yearbook? I have lost mine throughout the years. Looking to buy for my grandma for her christmas gift. Please let me know where I may find one if not here. Thanks. I'm in need of a 1967 NISH yearbook as I have lost mine. What grad info you are talking about?